A large number of people experience hearing loss during their lifetime. It may be permanent or temporary. Age and exposure to loud noise are the triggering factors causing hearing problems. 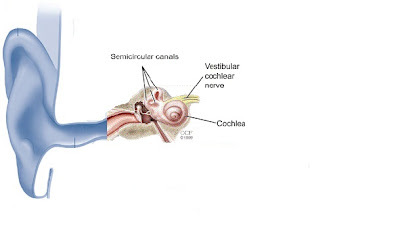 The cochlea of the ear gets damaged due to loud noise which leads to noise induced hearing loss. This can affect people from any age group. Some people lose hearing all of a sudden. This is because their ear gets exposed to extremely high noise. In such cases, medical assistant is necessary. Rock concerts cause muffled hearing that can last for hours and in some cases, it lasts for weeks. The effect of a noise is determined by its pitch and duration. Noise from ones workplace is the most harmful one because of high exposure to it. Using power tools on a regular basis also leads to loss of hearing. Genetic inheritance of hearing problems also leads to hearing loss. Head injury leads to hearing loss by damaging the middle ear or by tearing the eardrum. A type of hearing problem caused by tumor is “acoustic neuroma”. The patient feels a ringing in the ears or experiences full loss of hearing. Such conditions are subjected to treatments. “Otosclerosis” changes the movement of small bones in the mid-ear that affects hearing capacity. Hearing loss due to medicines is also common. They are called ototoxic drugs. Some drugs that lead to hearing problems are loop diuretics, chemotherapy drugs, amino glycoside antibiotics, etc. Hearing impairment due to natural aging process is highly prevalent. It occurs gradually as one grows old over time. Such condition is referred to medically as “presbycusis”. It affects both the ears that cause the words to get vague and muffled and the person cannot hear high pitched noise. There are medicinal remedies available to hearing losses. Surgeries can be effective in eliminating the loss of hearing problem. Visit an audiologist for correct diagnosis so that medication can be followed according to the type of hearing problem. A hearing aid or mechanical listening device is recommended if hearing problem cannot be treated. Your lifestyle, hearing concerns and listening needs determine the hearing aid that suits you. Hearing intensification or alerting devices are also effective in this case. Nice article about Hearing Loss Treatment. Hope to see more informative article from you.